Please place your order with an Outdoor Image Product Specialist before you upload your artwork. The details of the artwork, resolution, size specifications, color, etc., are based upon your order and should first be discussed with your Product Specialist. The artwork upload form (the “Upload Art” button) is located at www.outdoorimageusa.com and accepts files up to 1.9 GB. Upload times are dependent upon file size and upload speed. If your file size exceeds 1.9 GB or if you have a slow upload speed, contact your Product Specialist for instructions on sending your files to us on a DVD. Uploaded files should be named correctly in order to avoid file transfer or corruption problems. Your base file name must be composed of alphanumeric characters only with underscores for spaces as needed. Uploaded artwork will be removed from our server 30 days from the date of upload. If you mistakenly upload artwork before you place an order, please contact a Outdoor Image Specialist as soon as possible or the artwork may be lost. Artwork should be in CMYK not RGB format. Setup artwork using 1 inch = 1 foot scale. Include 0.5" bleed on all sides, which equals 6" on actual size. Convert all Type/Fonts into outlines or curves. Indesign Files must containt all images and fonts. Corel Draw or Flexisign files must have text converted to curves and exported as a .PDF. Keep layers intact, please do not flatten. A proof of your design assists us in accurately verifying that our conversion process has not greatly manipulated your artwork. For best results we suggest that you send us a color proof of your design suitable for color reference. 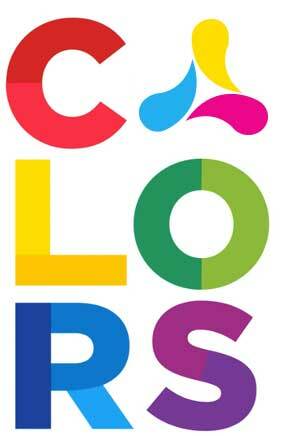 All spot colors will be printed using CMYK equivalents. Online approval of proofs is subject to our Online Proofing Terms and Conditions located at www.outdoorimageusa.com. If your job is color critical, you must approve a hard copy or substrate proof before we print your order. Our hard copy proofs are printed in 4-color, are within 5% accuracy for color, and will be sent to you via FedEx overnight. If your job is not color critical, we can e-mail your proof to you. Please be aware that a delay in proof approval will also delay your delivery date. Quoted turnaround times start from the time of our receipt of your proof approval. We print the proof that you have approved.